Netizens lauded #wokecelebs Ria Atayde and Enchong Dee after leading a coastal cleanup in Baseco, Manila. 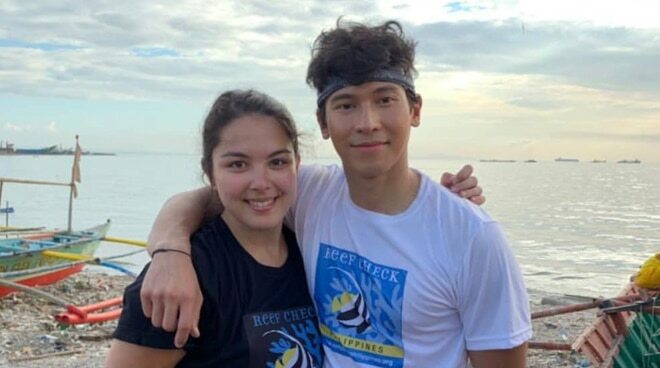 Kapamilya celebrities Enchong Dee and Ria Atayde teamed up with Reef Check Philippines - a non-profit organization “dedicated to marine conservation, especially coral reefs” and worked hand in hand with them for a plastic pollution cleanup in Baseco in Manila. “It all started with 2 inspiring individuals. They wanted to make a difference so one Saunday afternoon, they did. They gathered their family and friends and together took a stand against plastic pollution. And boy, they definitely touched the communities,” Reef Check Philippines wrote in a series of Instagram posts. Enchong Dee, in an effort to put the focus on the cleanup to make the coasts of Manila a better place to live in not just for them but for the marine wildlife as well rather than the idea that there are two celebrities around helping them out, asked the Baseco community to give less attention on photo ops. “In two months babalik ho kami dito ng mas maraming kaibigan. Ang pakiusap lang ho namin kapag bumabalik ho kami dito, unahin po natin ang paglilinis bago ang picture,” said Enchong Dee in a video posted on one of Reef Check Philippines’ Instagram stories. “Nandito po kami para magpulot, hindi po para magpicture,” Atayde said, seconding Enchong Dee’s message to the Baseco community. Meanwhile, in a Facebook post by environment conservation organization Nilad PH, proudly held plackards with ‘Stop Reclamation’ and ‘Rekalamasyon sa Manila Bay, Labanan!’ written on them.